Small business phone systems generally use either traditional land lines or voice-over IP (VOIP) for their telecommunications. Land lines are, of course, very familiar technology, even as they start to be phased out in many residential and commercial settings. VOIP is a newer technology that uses the internet to transmit your voice as data, compared to land lines, which use traditional copper wires. So, which is the better option for your business? There are a variety of advantages and disadvantages associated with both. Let’s take a look at some of the factors you should consider when looking at phone system installation in MT. One of the first questions a business owner is going to have when looking at a telecommunications service is how much it’s going to cost. As a general rule, you can expect VOIP to be a cheaper option both for setup and for ongoing service. Many of the add-on land line features for which you have to pay extra, such as cell transfer, intercom, group ringing and phone directory, all come included with most VOIP service for no extra cost and no need for additional hardware. Monthly fees are also significantly lower for VOIP service than land line service. The nice thing about land lines is that they’re not affected by power outages, unlike VOIP services, which require internet connectivity to function. This is a time-tested technology that, while it may seem outdated in some cases, is always going to give you excellent call clarity and stability. With VOIP, because you connect over the internet, you might have some instances of low-quality calls or connection issues. The technology has gotten significantly better over the years, but it’s still a factor to consider when choosing your phone system. 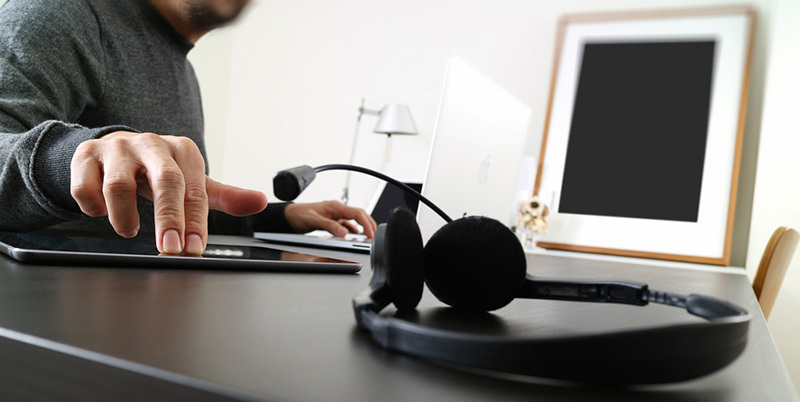 There’s no doubt that VOIP is a much more versatile communication solution than land lines. You can use it from your desk phone, mobile phone or computer to make or receive calls, something you simply cannot do with traditional land lines. Both VOIP and traditional land lines are very easy to use, but VOIP is significantly easier to get set up. With land lines, you’ll have to make sure you’ve got the physical connection in place and that you are working with a trusted telephone company to get everything up and running. With VOIP, you can easily set it up and configure your settings yourself via computer or smartphone app. In general, VOIP is a better option for small businesses that are looking for the most economical solution that will give them a lot of versatility. It’s particularly beneficial for businesses that have a lot of remote employees. Meanwhile, land lines are better for small businesses that are located in more remote areas or do not have access to a stable high-speed internet connection. For more information about making the decision between VOIP and land line service when considering phone system installation in MT, we encourage you to contact the team at Tech Service Company today with your questions. What Does IT Customer Support Actually Entail?